The term “literacy” primarily refers to having the ability to read and write. An illiterate person—that is, one who can’t read or write—has difficulty functioning in the world. Reading and writing are essential skills. They allow a person to stay updated on current events with the local newspaper, read signs to help them navigate their community, and compete in academics and the workplace. Literacy is vital to success in today’s society. When “digital” is attached, the meaning of the term broadens. Cornell University defines digital literacy as “the ability to find, evaluate, utilize, share, and create content using information technologies and the Internet.” Through this definition, we learn that “digital literacy” is quite comprehensive. Digital literacy goes far beyond knowing how to read or write. A person who is digitally literate has the capacity to seek out information through digital technologies, assess the quality of the information, and use it accordingly. Plus, it refers to the knowledge and abilities to use a variety of devices, including tablets, smartphones, laptops, desktops, and other forms of technology. Digital literacy skills are crucial in these times, as the use of print media decreases and digital media becomes more and more commonplace. 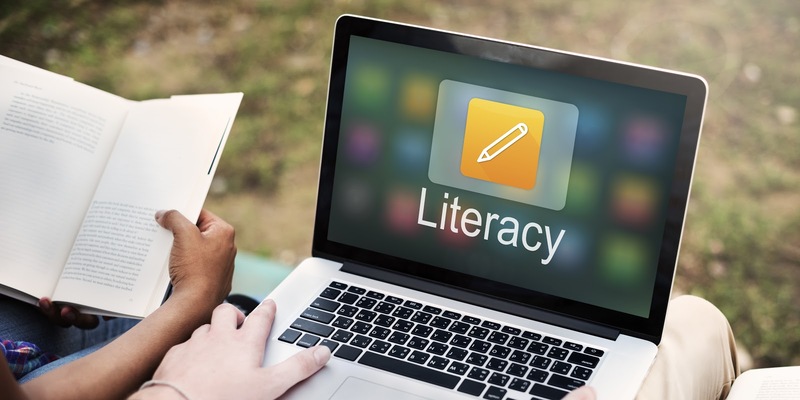 Now that technology is a staple in everyday life, it’s apparent that lacking digital literacy skills places a person at a similar disadvantage to one who doesn’t know how to read or write at all. This form of literacy goes beyond just the consumption and creation of information and ventures into more ethical and moral considerations, like critically evaluating data and practicing social responsibility. What are the Typical Ways to Encourage Digital Literacy? Digital technology is in nearly every American home today. Data from the Pew Research Center reveals that 84 percent of U.S. households have at least one smartphone, 80 percent have at least one desktop or laptop computer, and 68 percent have at least one tablet. In fact, many American children know how to use touch-screen devices before they can tie their shoes or read a print book. Helping kids learn how to operate smartphones, tablets, etc. Such in-the-home opportunities can provide a framework for later digital literacy skills in younger children and help build on what’s taught in the classroom for older children. While any sort of reading is highly encouraged by both parents and educators, the use of electronic books provides a clear edge when it comes to the development of digital literacy skills. Since most adolescents already spend a great deal of their time online, electronic books do a terrific job of meeting readers’ unique needs and preferences. If a child has access to a tablet or e-reader, millions of books (including textbooks and supplementary materials) are readily available to them. E-books are also incredibly mobile and space-saving, as taking one’s summer reading list on vacation requires access to only one device as opposed to a hefty armload. What’s more, print books are considerably more expensive than their electronic versions. E-books are equipped with a wide range of features, which are nonexistent in traditional books. Readers can engage with the text through audio narration, animations, dictionary and search features, links to supplementary materials and videos, social sharing capabilities, and highlighting and note-taking capabilities. Such features have been shown to contribute to better reading comprehension among e-book readers. This abundance of components not only promotes general literacy but also provides e-book readers with highly useful digital skills. Overall, when books are online and easily accessible, readers are more likely to engage and enjoy the reading experience. Educators can help their students use technology effectively in and out of the classroom. They can also prepare them for college and careers in this increasingly digital world. The best way to do this is by starting with a clear set of standards and expectations. Be thorough and firm on the limits within your classroom to ensure your students understand the gravity of tech use. Critical thinking is perhaps one of the most desired outcomes in the educational context. Teachers want to feel confident that their students can examine all aspects of a problem, sort through the available options, and determine the best response or course of action. This sort of thinking is invaluable in school, the workplace, and life in general. Digital literacy requires that a person is informed, sensible, and open-minded when interacting through online media. In the classroom, teachers can help students develop critical thinking skills using technology. For example, a simple way to implement this may include reading a portion of text from an e-reader and making inferences about it. One of the most noteworthy uses of digital resources is the capability to share them with different audiences. Educators can help students foster informed and conscious sharing skills so they can minimize faulty tactics that potentially harm themselves or others. Smart sharing should consider the trustworthiness of the source (i.e., clickbait versus premium news articles), the relevance of the information, and the potential to spread awareness or do good. Perhaps teachers can have their students go through a checklist before they hit enter on everything from social media posts to group assignment uploads. Furthermore, educators can also help students better understand the digital footprint of their shares. This can include everything from uploading a document or image with cloud computing to sharing personal information on a forum. Educators can help students build their authentic voices and opinions through digital literacy. Allow students to explore trusted online environments on their own, helping them to not only develop autonomy but also construct their own ideas and belief systems. While individuality and personal expression are vital, educators may also emphasize the importance of hearing and respecting the unique voices of others. It can be a challenge to cover all the bases in an environment as far-reaching as the internet. We suggest allowing the context to inform your direction when teaching digital literacy skills. Be sure to take advantage of teachable moments, like discussing issues as they come up in the news or popular media or using examples from student missteps to drive home important points. Some good topics to look out for may include cyber-bullying, privacy (one’s own and others), fake news, racial/cultural differences, responsible tech use, etc. Digital literacy involves the knowledge and skills necessary to navigate, evaluate, and use information across a variety of electronic devices. Digital technology is undoubtedly here to stay, so having these skills helps a person perform successfully in academia, in careers, and in today’s tech-forward society. Electronic books are one extremely valuable way to promote digital literacy skills. Educators may also support digital literacy by helping students refine their critical thinking skills, encouraging the spread of information in appropriate ways, and inspiring individuality during online learning activities. Digital Rights Management, or DRM, is a crucial part of e-book publishing today. Here is the ultimate guide to understanding DRM services and learning which solution is right for your needs. What is DRM for E-Books and Why is it Important? DRM helps protect e-books against illegal downloading so that authors and publishers maintain their rights over digital content. Digital content security addresses e-book piracy, which has become an enormous challenge for both authors and publishers. How Prevalent is E-Book Piracy? E-book piracy is one of the most significant challenges many authors experience after publishing a popular novel. Unfortunately, when there is a demand for quality content, some users will download an e-book with the intent of sharing it for free. 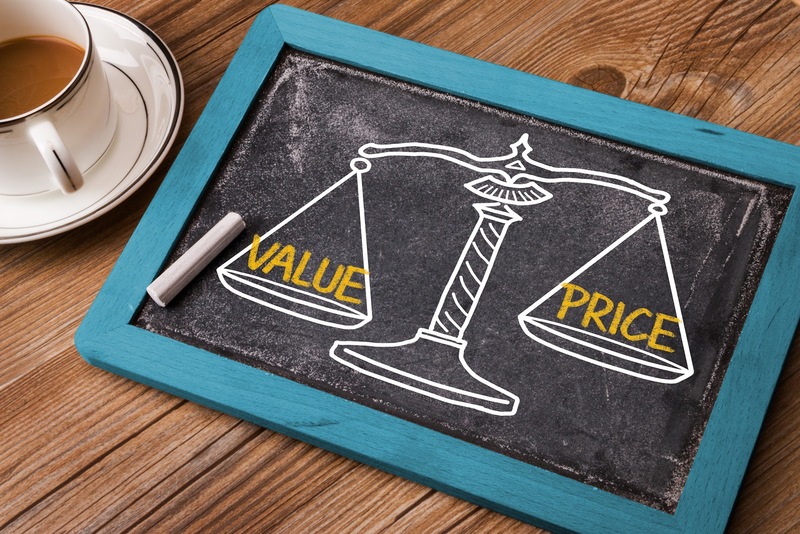 Although many authors and publishers assume that by charging a price for the material, they are ensuring the content’s security, that is not the case. In fact, 31 percent of respondents to a survey about illegal e-book downloads stated that they downloaded such books weekly. Further, a 2017 study on online copyright infringement found that out of all the e-books read online, 17 percent are pirated. And while many consumers of illegally downloaded content defend their actions by suggesting that piracy doesn’t affect authors, novelist Maggie Stiefvater begs to differ. Stiefvater wrote about her experiences with piracy after her third novel didn’t meet expected e-book sales targets. Because sales dropped so low, her publisher cut the upcoming print run of her book. But the fantasy novelist found forums online where readers discussed her forthcoming novel and how to get it without paying for it. Ultimately, to prove to her publisher that it wasn’t a bad novel causing the dip in sales, Stiefvater published a few chapters of her novel online, embedding the file with an anti-piracy message. This resulted in a spike in sales when readers couldn’t find the complete pirated book online. Stiefvater’s experience isn’t uncommon, but for some reason, many who disagree with anti-piracy protections still maintain that pirated books are good marketing for writers. However, authors and publishers who depend on sales to make a living contend otherwise. But how can DRM help? Digital rights management services help protect e-books and other digital content from piracy. 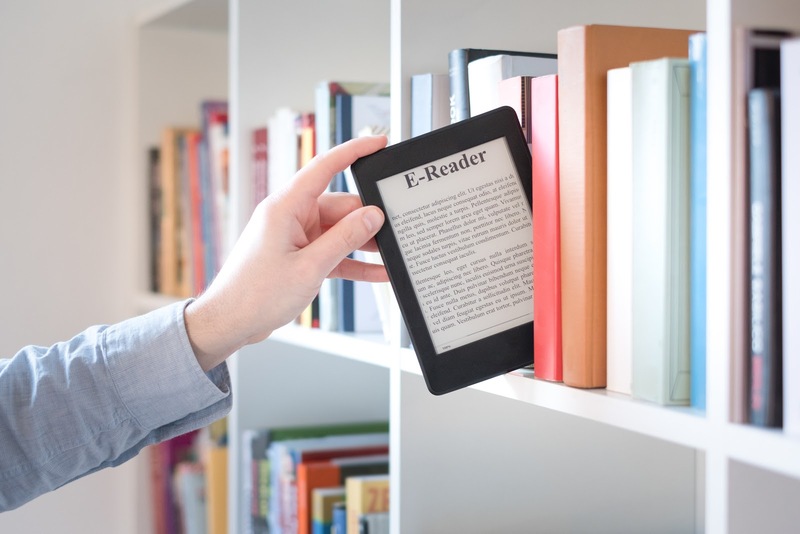 From blocking unauthorized access to scrambling the underlying code of an e-book, DRM solutions can help protect content and preserve author’s right to benefit from their work. When e-books are difficult to access because of anti-piracy security precautions, consumers must either purchase a legitimate copy of the book or not read it at all. Fortunately, when content is in demand, most consumers will often opt for a paid version of their favorite novelist’s new book. Password protection is a straightforward means of blocking access to unauthorized users. Simply put, password protection via Adobe Acrobat or the native MacOS program, Preview, only allows consumers who have the right code to open a PDF file. Passwords can deter users from trying to access content that they have not purchased. However, it is not the most effective means of e-book security because many services and solutions can remove password protection. Overall, password protection is a smart preliminary step to protect content, particularly for self-published authors or those who want to offer e-book sales on their personal or brand websites. For more established brands or publishers, a more comprehensive security solution works best. Watermarking is a “social” means of digital rights management because it deters purchasers from sharing content by embedding personal information identifying them as the owner of the e-book. Although digital watermarking does not add any additional steps to the purchasing and downloading process, users must enter their personal details before accessing the e-book. When users receive their digital copy of the book, their personal information is embedded inside. Although readers may still be tempted to share an e-book with friends and family, for example, if their email address and phone number are embedded in the e-book, they are far less likely to mass-distribute the content online. Digital watermarking for e-books works much the way that watermarking does for photographs. People are less likely to share content freely when the copyright owner’s rights are on clear display. Embedding the buyer’s personal information as the originator of a digital copy also puts them on the spot when it comes to legal action. While scant research has been done on the effectiveness of watermarking against piracy, it stands to reason that watermarking reduces the chances of an e-book showing up on pirate websites for sharing. Digital watermarking also personalizes the e-book buying experience for consumers, because every version of the book is personalized. Watermarking is an unintrusive means of DRM because it does not limit how readers can access or utilize the content. Therefore, it’s a consumer-friendly method of maintaining copyright. The industry standard for DRM, encryption hosted via Adobe Content Server, enforces security on an invisible level. Encryption gives publishers the versatility to control how their content is read and shared. Any PDF or EPUB file with encryption has strict limitations for online use. For example, many encryption processes make e-books incompatible with non-standard viewing applications. That means users can only read the books on devices that are compatible with encryption, stopping them from duplicating the files onto the Web or other devices for sharing. Encryption makes an e-book conform to an author or publisher’s standards, which is why many large e-book retailers like Google, Barnes & Noble, and Kobo use it to maintain platform security. Typically, Adobe DRM protection requires substantial initial investment and ongoing fees from publishers. This is partially because the high level of security provided by encryption requires constant modification to arrest the progress of pirates who wish to hack the code. EditionGuard puts Adobe DRM within reach of self-published authors and publishers by making it available at a low monthly rate. Even for experienced authors or publishers, it can be challenging to decide on the appropriate DRM solution for your needs. While any measure of DRM protection is better than none, there are a few factors to consider when making a purchasing decision. For large publishers that distribute thousands (or more) of e-books via online sales platforms, a higher level of security can be extremely beneficial. Because large sales platforms often offer popular material, including e-books from famous authors, they may prove bigger targets for digital piracy. High-volume sales mean a higher risk of illicit activity, but the right encryption software can deter copyright violators from attempting to duplicate and share copyrighted materials illegally. For example, e-book giant Amazon uses DRM which only allows readers to view books on Kindles or approved devices with the Kindle app. 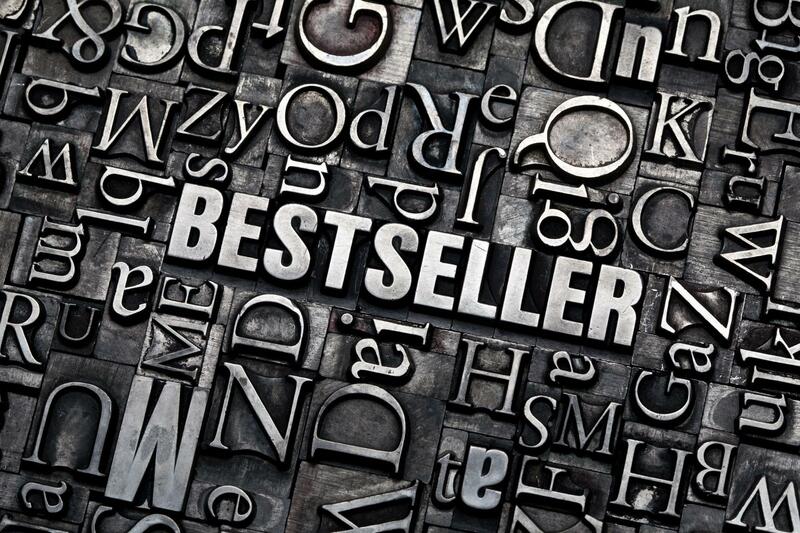 Conversely, a self-published author may maintain a small platform on their website for sales. In this case, a limited inventory coupled with relatively low demand means more stringent DRM steps may be unnecessary. Some authors also argue that applying encryption-level DRM to e-books creates distrust among an author’s readership. For lesser-known authors, using a high level of digital security may drive away consumers who see DRM as an insult to their integrity. 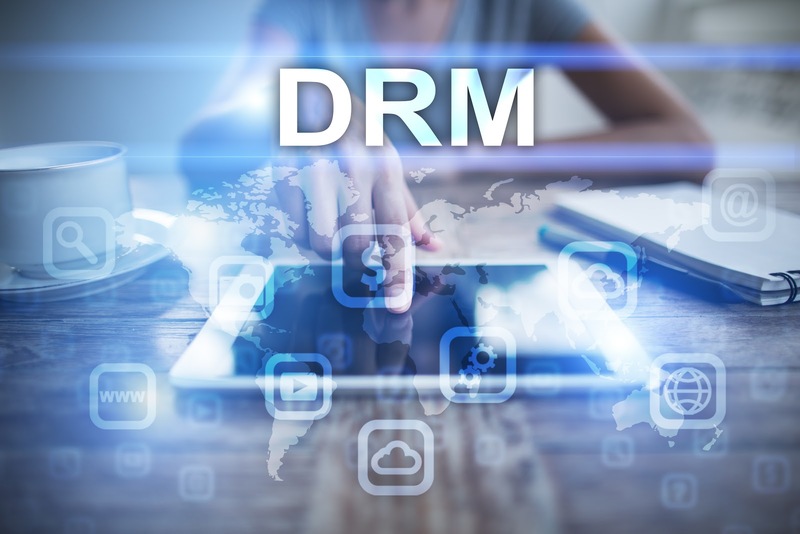 Although DRM solutions work across all digital media, from audiobooks to e-books to academic journals, the kind of content an author creates may dictate what type of DRM is appropriate. For example, authors of academic research may opt for a watermark rather than encryption, because many researchers may prefer to print their downloaded documents for scientific purposes. In contrast, creators of e-books may desire encryption to prevent readers from duplicating content digitally. Further, e-book authors may apply DRM encryption to satisfy seller platforms’ requirements, such as the Amazon example above. J.K. Rowling, for example, released her “Harry Potter” series DRM-free, but Amazon delivery of the books automatically applies DRM. This frustrated consumers who specifically chose DRM-free versions of the books to read on devices other than Kindle or other approved e-readers. For famous authors with a worldwide following, such as J.K. Rowling, it is almost a given that piracy will affect the integrity of book sales. However, for authors with a large audience, the fears about losing a percentage of their income may be outweighed by their desire for consumer convenience. Self-published or indie authors, however, have more at stake. A smaller audience means less opportunity for revenue, meaning that protection is likely essential for a writer’s career security. Therefore, financially accessible means of DRM such as watermarks or password protection may fit the bill. An investment in DRM solutions is also an investment in an author’s work, but traditionally, high prices have discouraged many authors from seeking anti-piracy protections. Authors or publishers on a smaller budget should weigh the benefits of each DRM solution with the outgoing cost to determine what is feasible for their unique situation. For some, the limited security offered by password protection may be sufficient. Others may opt for digital watermarking or social DRM because of the freedom it allows consumers to read their purchase on any device. For those authors and publishers seeking the highest level of security for their intellectual property, EditionGuard puts industry-standard DRM protection from Adobe well within reach. Traditionally, libraries maintain a vast selection of books that members can borrow for free. Despite this freedom of access, book piracy threatens the continued well-being of the library model. Both online and offline libraries are at risk, especially for content that’s in high demand. Why is Piracy a Problem for Libraries? While a well-stocked library has much to offer for communities, libraries are also at risk of piracy both online and off. Although libraries lend books, e-books, and other materials to members free of charge for limited periods of time, the libraries themselves have already paid for those resources. In fact, libraries typically pay a significantly higher rate to publishers per title than bookstores. Libraries operate on a lending schedule that includes overdue fees to guarantee that materials return to the shelves. However, piracy poses a threat to both the continuing existence of local libraries and online ones. 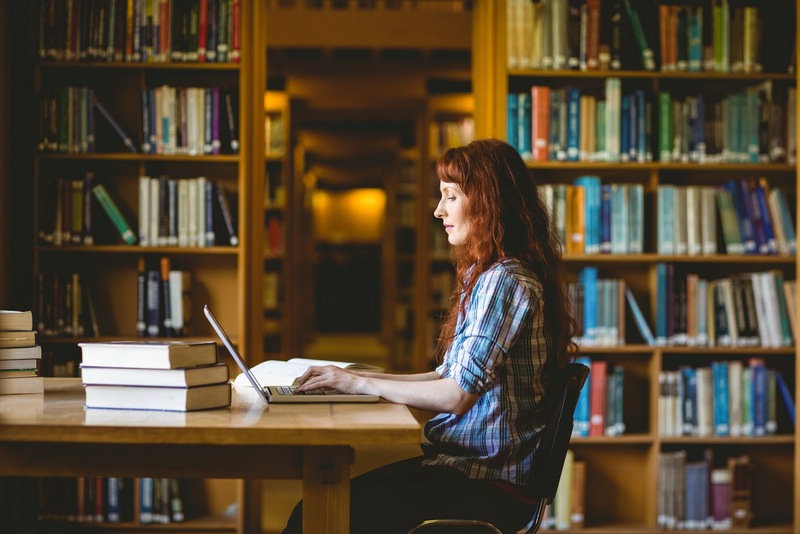 Public libraries typically rely almost exclusively on government funding to survive, while university and college libraries rely on funding from those institutions. If borrowing rates and member enrollment decline due to books being readily available through piracy, it is almost guaranteed to have a negative impact on funding. One survey shows that nearly half of e-book consumers had downloaded at least one pirated book in the previous 12 months. Not only does illegal use of content violate authors and publishers copyrights on materials, but it also undermines library borrowing. Because many libraries now offer digital borrowing, they are competing directly with illegal free book platforms that don’t have due dates and membership agreements. With most online libraries, borrowing schedules follow a traditional timeframe of one to three weeks, and on their due date, they simply disappear from the reader’s digital library. When consumers realize they can obtain e-books, audiobooks, and more for free—and retain them permanently—they are less likely to utilize library services. At the same time, libraries struggle to stay relevant as many consumers turn to digital media consumption rather than traditional books. The emergence of the e-book has posed a challenge to the conventional library model from day one. 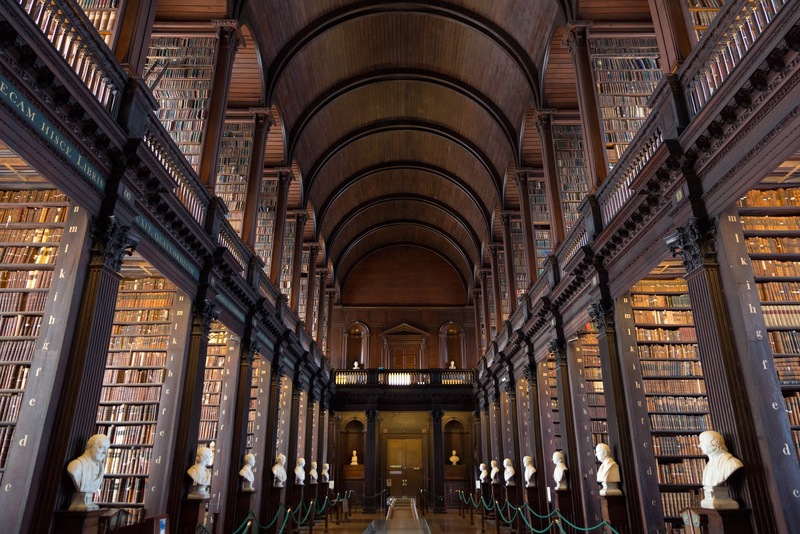 Libraries have traditionally relied upon the physical experience of viewing and reading books to attract borrowers, justify their funding and provide exposure for new authors. Convenience and lack of overdue fees are just two reasons why consumers may opt for pirated content rather than visiting a brick-and-mortar library location. This puts pirates in direct competition with libraries. Not only libraries at risk. As industry experts note, libraries (and bookstores) serve as crucial intermediaries between authors, publishers, and readers. Without library displays of “What’s Hot” titles and new releases, books sales may be adversely affected. At the same time, the migration to e-reading may threaten the sales of physical books. People still maintain a desire to read, but they want a no-risk and convenient way to do so. 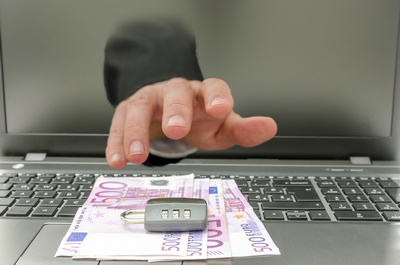 Unfortunately, pirated content may appear to be the most accessible and risk-free commitment. What Are Authors and Publishers Doing to Protect Books from Piracy? Fortunately, there are steps authors and publishers can take to protect books from piracy before they end up on library shelves- digital or otherwise. Industry-Standard DRM encryption prevents e-books from online duplication and unauthorized use through secure code. This security depends on rapidly changing technology and is one of the most stringent measures against e-book piracy. Authors or publishers must add encryption before their books arrive at the library, limiting the way that readers can use them. For example, readers cannot print or copy an encrypted book. Encryption can also dictate what devices and applications users can read on. E-books and audiobooks may arrive without DRM encryption, allowing libraries to select their own methods of security that are uniform across all content types. Encryption depends on the author or publisher’s preferences, and more popular titles may arrive at the library with pre-existing encryption protection. This limits a library’s choices when it comes to lending terms and device compatibility. Watermarking can prevent readers from carelessly sharing content because watermarks can display copyright information and penalties and use the reader’s personal information as a marker. With Social DRM, authors and publishers place a visible watermark on the inside of an e-book so that pirated copies can be attributed to the original downloader. Some forms of digital watermarking can also be invisible, allowing publishers to sweep the internet for pirated e-books in circulation. Audiobooks, PDF files, and other resources can also use invisible digital watermarking to seamlessly “tag” content. If a pirate copies a resource with an invisible digital watermark, this “tag” allows publishers or authors to track the media and take legal action. Why Do Libraries Need DRM? Libraries hold a unique position as the middleman between authors or publishers and their readers. Because of this position, libraries want freely accessible content to pass on to consumers, but they must also cater to the wishes of authors and publishers. Libraries’ concerns include consumer privacy, accessibility for users with disabilities, and enforcing DRM restrictions. Keeping electronic media both readily accessible and protected from piracy is a tall order, but DRM solutions can achieve both. Ultimately, libraries need visitors so that they can keep their doors open. If people are obtaining e-books and other resources illegally, that means fewer visitors for libraries. People who can download, copy, and share books from home often won’t bother logging in or visiting their local library to find a good read. DRM keeps library resources secure and creates a demand for books that are not found online for free. If libraries can encourage this demand, they will continue to see traffic from readers who lack access to pirated materials. What Can Library’s Do to Protect Their E-Resources from Piracy? Strategies for protecting e-resources within library collections include innovative use of device rights management solutions and strong anti-piracy stances. Here’s how to secure your library against piracy. Even if libraries receive e-resources without encryption or watermarking, the institutions themselves can apply DRM strategies before releasing content to the public. Password protection, encryption, and watermarking can deter piracy. The highest level of DRM protection is invisible encryption coding that prevents readers from altering or copying an e-resource. This technology continuously improves to combat evolving piracy tactics, but it also limits the ability of readers to access the content across multiple types of devices. Depending on the parameters of encryption, this form of DRM protection can keep users from printing, sharing, or copying library materials. However, many libraries are hesitant to embrace encryption because of the potential for reader frustration at not being able to download books to their favorite platform or device. Whether libraries use their own information for watermarking or apply the borrower’s personal information inside an e-book, using a watermark is a form of social DRM that keeps readers from illicitly sharing content. Digital watermarking is a straightforward method of marking e-books that belong to a library collection, but it does not inconvenience consumers. Readers can use any device to view an e-book or another resource regardless of what type of watermark it contains. While many libraries understand the difficulties researchers and students face when searching for academic resources, most recognize that piracy is not the solution. Many University libraries have statements against piracy, such as the University of Connecticut Library. In its statement, the UConn Library cautions against users sharing login credentials or posting copyrighted content in online forums. However, that library, along with many others, support publishing models such as the Open Access movement. The Open Access movement’s primary aim is to make scholarly and scientific literature available for free to everyone). Researchers have direct online access to information stores, and anyone can contribute material. Still, the Open Access movement has its limitations and guidelines, and there are types of content that are not available through these means. Therefore, other methods of protecting copyrighted content are necessary to preserve library resources. Libraries face unique challenges as they balance the needs of readers and those of publishers and authors. While cardholder agreements and logins form the basis of libraries’ content management, ensuring that all e-content is secure requires more than membership from readers. Learning how to secure your library against piracy begins with understanding digital rights management solutions like encryption and digital watermarking. EditionGuard features like flat-rate plans, device compatibility, and easy implementation make the process simple. While libraries continue to serve as sources of community education and engagement, taking steps to protect their resources ensures that consumers do not look elsewhere for convenient and secure access to desirable content. Many authors and publishers are hesitant to invest in digital rights management (DRM) solutions. In failing to do so, they’re putting themselves at risk of e-book piracy. According to a UK study, up to 76% of popular textbooks were available online in pirated form. And it’s far from just frugal students who download pirated content. So, how can authors across the globe help protect their property? One option is digital watermarking. Digital watermarks are often used in images, usually in the form of a semi-transparent overlay of the owner’s name or brand. But digital multimedia content requires a different kind of watermark. Techopedia defines digital watermarking as a method of embedding data into multimedia content for the purpose of verifying the credibility of the content or recognizing the identity of the owner of digital content. For e-book publishing purposes, a watermark is often an overlay in the e-book that includes the purchaser’s personal information. Watermarks can also include publisher or author information. The primary function of digital watermarking is to identify the owner of the content. Watermarks ensure copyright protection and enable tracking the source of a book or media. Watermarks can also be hidden, invisibly embedded in the code of the e-book. Authors or creators of digital content can choose either visible or invisible watermarks. Visible watermarks are often comprised of logos and text while invisible versions are embedded into the code of the e-book or document. It should be noted that visible watermarks do not alter the code in a file, and rely on purchaser or user entered information. While watermarks may not prevent unauthorized reproduction, they help authors discourage e-book piracy since the author or owner’s information is embedded in the content. Watermarking also allows authors to track unauthorized use of content and identify pirates who redistribute licensed material. Some publishers use a unique code for each book copy, enabling product tracking without displaying the purchaser’s information. Alternatively, a reader’s name, email, address, or other identifying information can be used. As the Digital Watermarking Alliance explains, digital watermarking is a form of content identification that gives consumers the freedom to use copyrighted materials within legal parameters. Digital watermarking highlights product ownership without limiting how consumers can read their downloaded e-books. Consumer convenience is a fundamental tenet of digital watermarking, making it a natural choice for many authors. At EditionGuard, we offer social DRM technology that embeds visible watermarks into your e-books. Here we’ll highlight the benefits of our social DRM option. Setting up social DRM requires little time investment. That’s because the framework relies on customer input to create and place custom watermarks. The buyer must enter information such as their name, email address, and phone number before downloading the book. While it’s a short step for consumers, this method saves time for authors and allows for easy tracking later if a consumer pirates content. With all the hours that go into writing, formatting, and marketing an e-book, choosing digital watermarking is a convenient and efficient choice for DRM. Saving time and boosting productivity through bypassing intricate security steps also saves money. DRM solutions using encryption often limit how consumers can read e-books, such as only allowing use on one device, app or platform. Restricting the audience of a book to those with one type of e-reader, for example, may mean leaving money on the table when it comes to sales. This is one of the side-effects of Adobe DRM protection, which restricts your e-books to specific devices. Social DRM has no such restrictions. That means the purchaser can read your material on any e-reader or application. Buyers can take their books anywhere with any device, but the moment they share content unlawfully, you can track it down and stop it. With endless software choices and more becoming available every day, consumers often have set preferences when it comes to e-book reading. Fortunately, social DRM places no limit on software usage, either. Consumers can download your e-books and use any software to read them. The digital watermarks, however, remain embedded in the book. Once a buyer enters their personal information, their e-book download is instantaneous. There is no extra time or a waiting period involved with downloads. When authors or publishers use restrictive DRM protection methods, they risk alienating consumers who feel as if they aren’t to be trusted. No author wants to lose sales to unlicensed copies of books showing up online, but authors also want to avoid implicitly accusing their customers of illicit acts. Social DRM is often the top choice for authors whose reader base may feel sensitive toward higher measures of security. Because digital watermarking still allows consumers the flexibility they enjoy, it is less intrusive than other more restrictive forms of DRM. In the end, an author’s readers dictate how successful an e-book or a series becomes, so catering to their needs is a smart sales strategy. As a journalist for The Guardian wrote, treating every consumer as a potential criminal is not the goal of DRM. Unintrusive DRM that adapts to an author’s unique customer base has the best chance of inspiring loyalty. Does social DRM really reduce piracy? While there are no recent studies on the effectiveness of watermarks against media piracy, experts maintain that watermarking does help reduce piracy—otherwise big-name publishers wouldn’t use it. According to Publishers Weekly’s expert, certain anti-piracy measures resulted in a 14% increase in e-book sales. 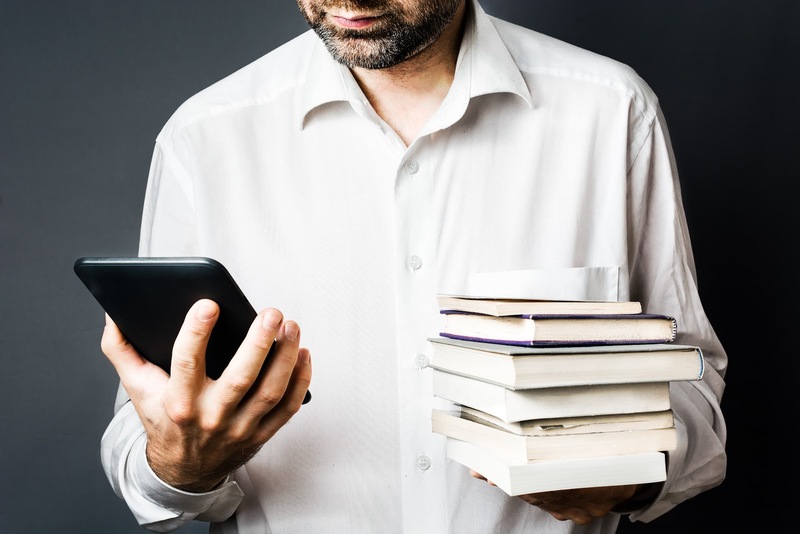 The fact that a digitally watermarked e-book contains the buyer’s personal information may not physically prevent them from making unauthorized copies, but it may prevent dishonest buyers from attempting to profit from an author’s work. Digital watermarking is an extension of traditional watermarks. According to LegalZoom, digital watermarks that remain embedded in content as pirates redistribute it provides evidence of copyright violation. 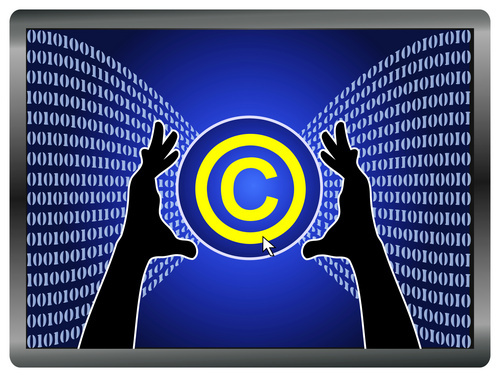 Copyright holders can pursue hackers or pirates for copyright infringement. Digital watermarking is a means of enhancing copyright protection that facilitates legal recourse if e-books are duplicated or shared illegally. Beyond digital watermarking, there are other types of DRM that can help protect e-books from unauthorized use. The two most common are password protection and encryption. Apps such as Adobe Acrobat or Preview for Mac offer the option for password protection for PDF and EPUB files. Passwords are a straightforward way to grant access to buyers or authorized users. However, various services and solutions can remove password protection. That means password protection alone may not be enough to protect e-books. Additionally, password protection does not stop consumers from sharing purchases with friends and family if the password is also shared. Industry-standard DRM solutions such as Adobe DRM use secure encryption to protect e-books. Although encryption cannot provide absolute protection, DRM encryption is an ever-evolving tool that aims to stay a step ahead of hackers and potential pirates. Encryption dictates what consumers can do with an e-book such as preventing them from sharing an e-book digitally or choosing to print or copy portions of it. Due to its advanced technology, DRM encryption is often more expensive than other security solutions. It’s also one of the most effective. If you’re looking for the most robust and restrictive protection for your e-book, Adobe DRM from EditionGuard may be the right choice for you. Understanding the different available DRM options can prove frustrating, but experts agree that protecting your content is crucial for maintaining e-book sales. At the same time, choosing the right means of copyright protection can mean the difference between making and losing a sale. While digital watermarking is a smart digital rights management solution for many authors, its suitability depends on the type of content you publish, the audience you aim to address, and your methods of distribution. Overall, social DRM is ideal for writers with an audience that may not mind personalized watermarking but may be wary of other DRM measures. Especially for indie authors and self-publishers, avoiding audience alienation is a crucial part of DRM strategy. Overall, digital watermarking caters to e-book authors and publishers seeking to protect their work while still offering maximum convenience and device compatibility to their readers. Although digital rights management (DRM) protection is standard in the commercial e-books that line digital shelves, academic journals often contain no such protections. Even when academic journals require credentials, such as being a member of a university library, or they institute a paywall to protect their copyrighted materials, that doesn’t prevent redistribution once a user is given access. Here, we explore the adverse effects digital piracy can have on academic publishing and the steps you can take to prevent it. Why Do Academic Journals Need Piracy Protection? Most academic papers are the result of research by scientists and typically funded by business, government, and institutions of higher learning, Traditionally, academic papers have been required to publish in established, often peer-reviewed, journals to be considered valid and to be enshrined as part of the academic record. Publishers of academic journals have traditionally relied on paid subscriptions and, in this digital age, gated paywalls, to fund publication, marketing, and in many cases to turn a profit. The internet has made academic research more accessible than ever before, but this ease of digital access comes with a price: It’s also never been easier to copy and distribute copyrighted materials illegaly. So what are the negative consequences of academic journals and research papers becoming available for free through piracy? Online piracy threatens the ability of publishers to cover the costs of preparing and marketing journals for publication. If the information is freely available through unauthorized reproduction, there is much less incentive for people to pay for it or for publishers to produce it. Incorporating anti-piracy measures like DRM into academic journals will help protect copyrighted materials and restrict access to paying consumers only. Just how widespread is the piracy of academic journals? One online repository for pirated content gives users access to 85 percent of papers from subscription-based journals. This same repository also contains nearly two-thirds of all academic research articles. Publishers receive no income from these illegal downloads. Thus, they may be unable or unwilling to sustain publication and marketing activities due to this loss of revenue. The End of Scholarly Publishing? Although new publishing models such as Open Access—which seeks to make scholarly research more widely available to consumers who might otherwise be unable to afford it—are becoming increasingly popular, piracy does not serve that same altruistic purpose. One researcher suggests that platforms hosting pirated content pose an existential to the subscription-based model of scholarly publishing. Without academic journals to publish their content, researchers would have to stop pursuing publication in the traditional sense. That may lead to some research projects ceasing due to reduced interest in the results. Furthermore, websites that offer pirated academic content for free are not permanent archives. Because piracy is a criminal act, governments could effectively wipe out these repositories of pirated content once they are discovered. The maintenance of a comprehensive archive of academic research is one of the essential functions of traditional academic publishing. Another essential function of scholarly publishing is editorial. Without peer-reviewed academic journals, who is ensuring that research papers are accurate? This task is hardly one that can be entrusted to pirates. While it’s not difficult to see the appeal of greater access to academic research—particularly in developing countries where high subscription costs may put journals out of reach—accessing pirated materials is not an information-seeking solution with longevity. Laws protecting intellectual property allow for publishers to pursue legal action against not only the websites which share illegal content but also the users who download it. What Are the Options for Publishers? Piracy of works published for commercial use often results in documents in the form of scanned printed materials or unlicensed digital copies. Piracy of academic journals typically focuses on preserving the integrity of the original work. Researchers need clear, accurate and accessible materials to study, so blurry copies or choppy formatting won’t do. With that in mind, these DRM options can be particularly effective in defending academic journals against would-be pirates. Publishers can easily password protect PDF documents using programs like Adobe Acrobat or Preview (for MacOS). Both PDF and EPUB formats can utilize password protection to limit access to academic publications. In theory, only those with the password can open the files. Password protection is simple to implement and free, making it a tempting solution for self-publishers or authors who wish to share content securely online with a select audience. Unfortunately, many readily available services and tools can remove password protection, making it a less than formidable solution against illegal downloading. It does offer limited protection, however. Password protected content is harder to access in comparison to academic papers with no protections whatsoever. Another way to discourage unauthorized file sharing is by utilizing social DRM. 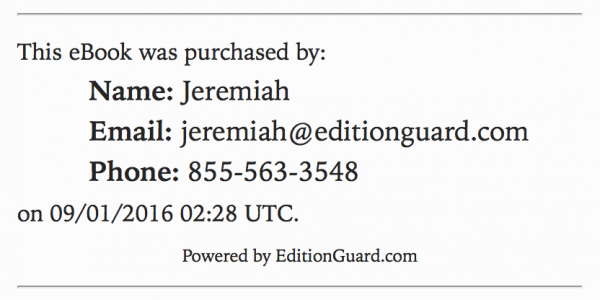 EditionGuard’s EditionMark is a form of social DRM that uses a consumer’s personal information to digitally watermark their copy of an e-book or PDF. The term social DRM stems from the fact that many consumers will hesitate to illicitly share copies of documents or e-books if the media contains their personal information. Discouraging file sharing by making each download attributable to the buyer is a visible form of anti-piracy protection that is palatable to most consumers since a personalized copy holds no offense for purchasers who don’t wish to redistribute it illegally. The most versatile and secure method of protecting against digital piracy is industry-standard DRM protection. Industry-standard DRM uses encryption to dictate what readers can and cannot do with downloaded documents. Encryption is the most effective, and typically the most expensive, DRM solution partially because would-be pirates adapt so quickly. 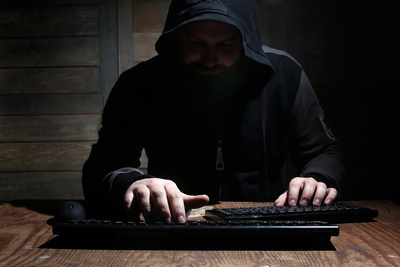 Constant vigilance and substantial resources are required to stay ahead of hackers. Encryption can prevent consumers from copying, printing, and sharing content. A potential drawback is that it may limit the type of application or device on which consumers can read the document. The publisher of the work sets the limitations imposed by encryption. For small-scale academic journals, paying a flat monthly fee for DRM is more manageable than the higher and variable costs associated with other options. Given that the target audience for small academic journals is likely to be small and specialized, social DRM may be the most effective DRM solution as well as putting the fewest restrictions on how content can be accessed and used. With social DRM, each time a reader downloads an academic paper, they are required to enter personal information that is imprinted either visibly or invisibly in the book. This discourages readers from sharing content without permission, as copies will be directly attributable to them. For those without ill intentions, watermarking lends a distinctive touch that also makes ownership of the content clear. At EditionGuard, we offer EditionMark social DRM protection for a low monthly fee making it accessible to authors, self-publishers, and small journals. For large-scale journals with a wider potential audience than a smaller academic publication, encryption is the best DRM solution. Although industry-standard encryption from Adobe typically requires a substantial initial investment, EditionGuard offers Adobe DRM protection at a flat monthly rate. Encrypted files are no different in appearance than unsecured files but when downloaded, there are limitations to the document can be used. 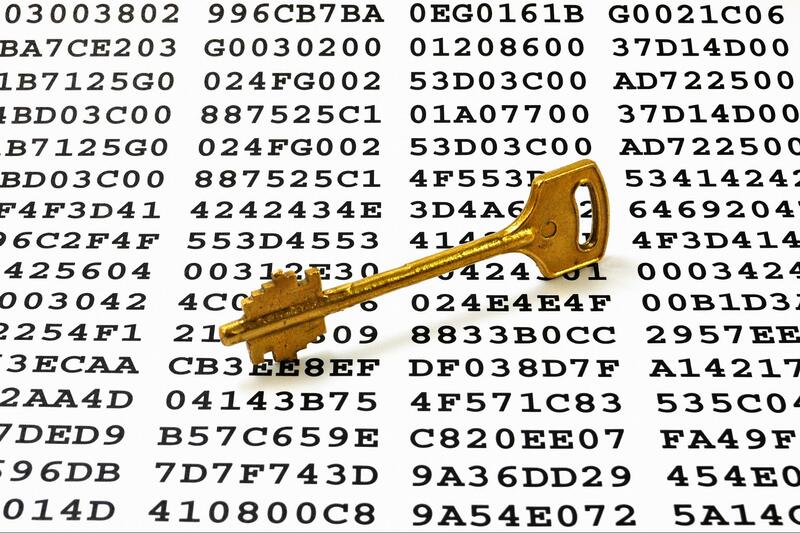 Encryption also scrambles the data within a file so that only specific applications can decode its content. Encryption typically restricts a user’s ability to access the content to specific devices or applications. This rarely presents a problem, as research shows that most people who read digital content use a dedicated e-reader, tablet or smartphone that offers compatibility with Adobe DRM encrypted files. In order to be effective, scientists need access to research and scholarly articles. That is an inarguable fact in the piracy versus intellectual property debate. But another fact remains: it’s essential that authors and publishers protect their work. Copyright laws—giving authors ownership of their words—arose from early piracy attempts. Pirates who illegally access research materials may paint the sharing of copyrighted material as an act of civil disobedience that benefits the public by making information more accessible. But rarely do they take into account the impact of their actions on the publishing side of the equation. Websites that make pirated academic content freely available threaten not only the ability of scholarly publishers to remain fiscally viable they also threaten the long-term accessibility and accuracy of academic research. Copyright holders enjoy legal protection of academic articles from unauthorized reproduction and distribution for 95 years. During that time they have the legal right to benefit from the use of their material. Actively employing a DRM solution from EditionGuard prevents bad actors from accessing, copying, and distributing protected material without authorization. 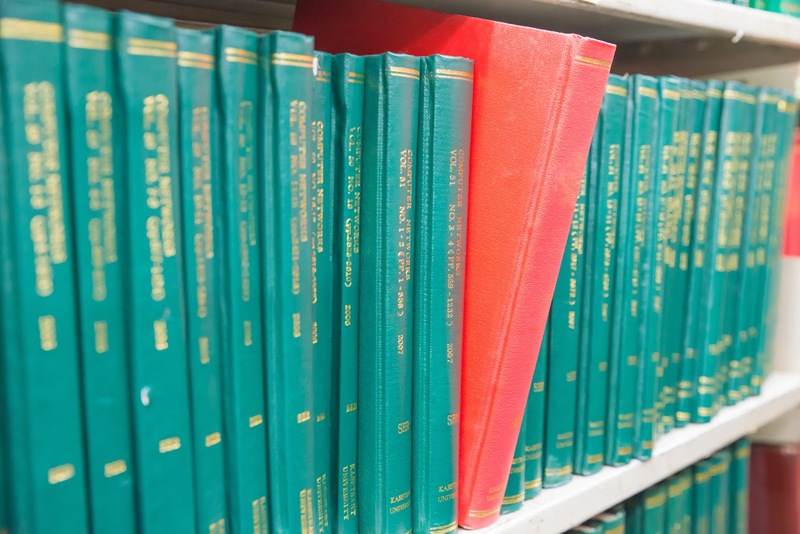 Even in this digital age, academic journals play a crucial role in safeguarding the accuracy and posterity of scientific research. DRM protection can help ensure this continues in future. A rise in both self-published and professionally published e-books has recently expanded readers’ access to quality content in convenient forms. But with the rise in e-books comes a rise in piracy and security concerns. Fortunately, there are steps authors and publishers can take to reduce the chances of pirates illicitly copying their material. Here we’ll discuss E-book DRM protection- what it is, how it works, and who it can help. While print books were still more popular than e-books in 2016, according to Pew Research, times are quickly changing. With smartphones, tablets, and e-readers at their fingertips, consumers engage with books just as much as they did pre-technology. A 2011 survey found that consumers prefer e-books over print books for several purposes. Respondents to the poll preferred e-books for the variety available, the ability to read in bed or while traveling, and the fact that books are available almost instantly. Convenience is critical for readers who have a long commute or want to select books quickly without a trip to the store or waiting a few days for a package. Therefore, e-books fulfill a need for consumers that also proves lucrative to writers in all genres. 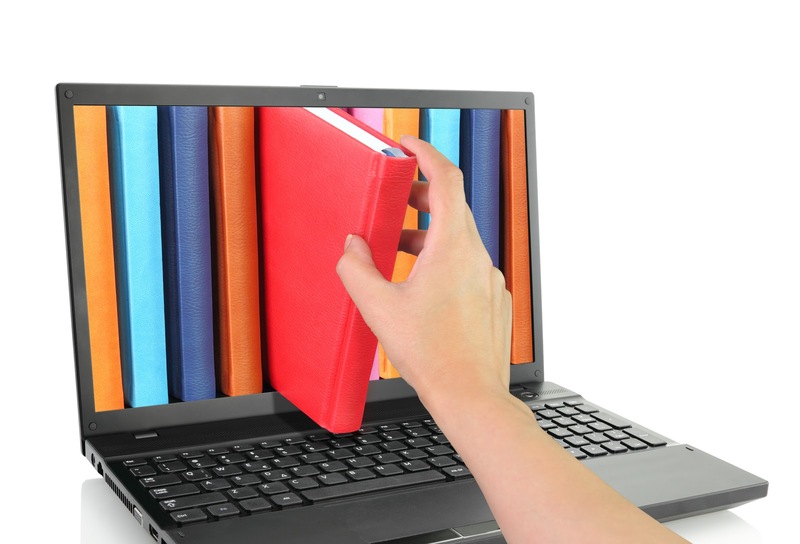 With the popularity and versatility of e-books comes increased security risks. Statista notes that there were over 31 million illegally downloaded e-books in 2017. That amounts to $315 million in lost revenue for authors and publishers. 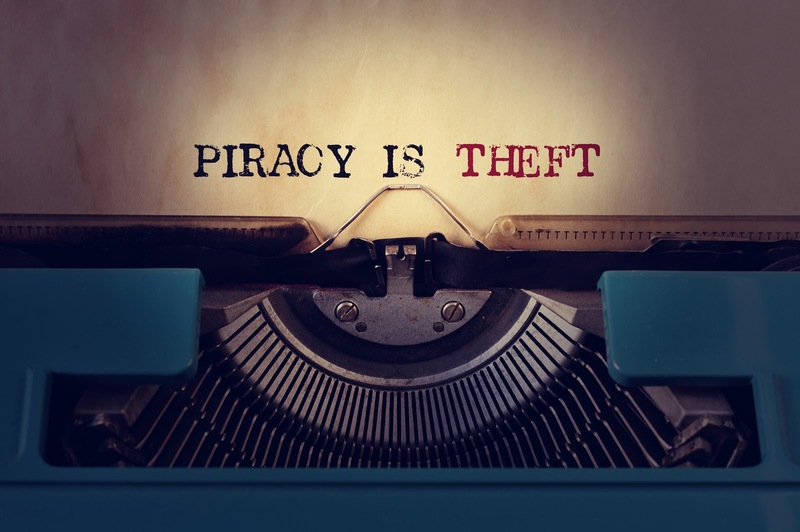 Digital piracy can not only impact an author’s sales, but it can also negatively impact consumers’ perceptions of the author, the work or the publisher. From content spinning, where a pirate substitutes some original or edited content in a book, to unlicensed distribution online, pirates manipulate digital media to suit their purposes. Preventing e-book piracy starts with protecting digital content both with technology and social cautions. For example, using the FBI’s anti-piracy warning seal won’t physically stop pirates from stealing content. It may, however, prevent them from pirating content for fear of prosecution by the author or publisher. Both visible and invisible means can help protect e-books preemptively but dealing with the aftermath of piracy is more challenging. Fortunately, DRM protection is a helpful preventative measure that authors can establish before books go live. Digital rights management (DRM) covers all the methods of protecting digital files from piracy. DRM also helps limit access to data so that even web-based e-books are safe. This type of protection includes passwords, watermarks, and encryption. 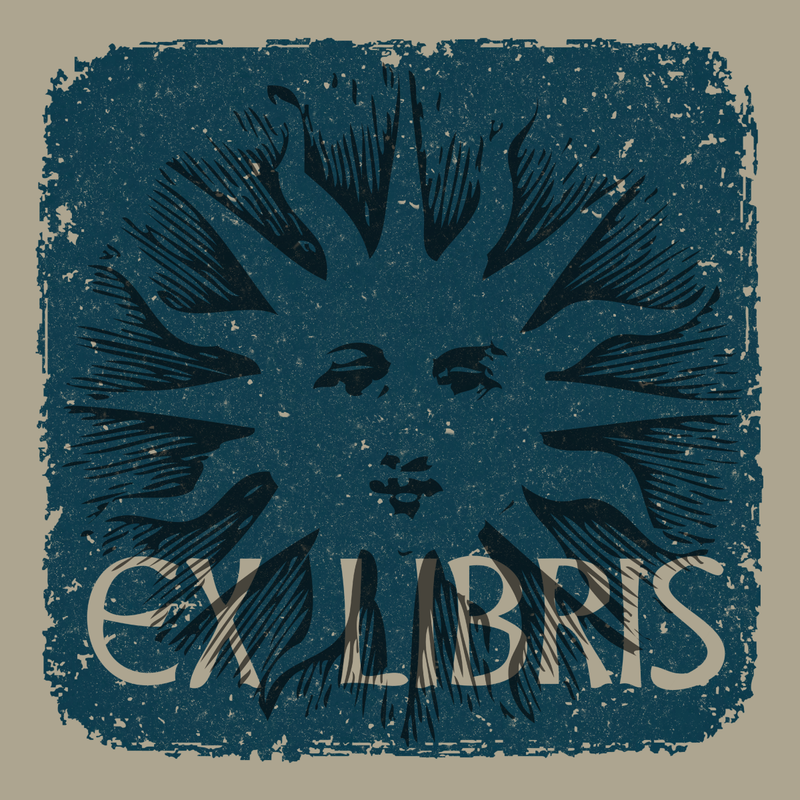 What Are the Pros and Cons of DRM as an E-Book Author? Why do authors need DRM, and does it have any drawbacks? Here are the pros and cons of DRM. The more difficult an e-book is to duplicate, the fewer pirates will attempt it. Unfortunately, book piracy is prolific, with over 15 million illegal downloaders in just the United States in 2017, according to Statista. E-books with DRM, however, have built-in protection against sharing, printing, and copying functions that enable piracy. Although no system is one hundred percent impenetrable, a combination of strategies can reduce the chances of stolen content appearing for free online. Unfortunately, advanced hackers may be able to bypass security systems and access protected content. However, DRM addresses not only barriers to e-book content but also enables authors to establish their legal rights. Although there is the possibility of a breach with any protection method, DRM is established in law. Therefore, authors possess a legal framework for pursuing pirates and unlicensed material. Whatever method of DRM an author uses, there may be a slight inconvenience to consumers. For example, password protection requires readers to enter a password to open a file. If they forget the password or enter it incorrectly, that can cause frustration before they even begin reading. Watermarking and encryption, on the other hand, do not pose an inconvenience to readers because they do not affect accessibility. High-level DRM does require an investment from authors and publishers. Similar to firewall and antivirus software, the preventative capabilities of digital rights management services are ongoing. However, authors should compare the cost of services or subscriptions with the potential for lost sales due to piracy. Over the long term, a monthly fee is often preferable to dealing with the aftermath of e-book piracy. How Secure Are DRM Documents from Hacking? How secure DRM e-books are from hacking depends on a few factors. First, the type of DRM strategy that an author uses can impact security. For example, password protection may deter low-level hackers, but it may not help when a consumer decides to share a copy of a book with a friend and supplies the password. Different circumstances warrant varying strategies for protection. Second, how an author defines security is the next factor. A watermark only offers legal protection, not a defense against illegal downloads. However, because companies like Adobe and Microsoft are continually improving their software and processes, security encryption has become more potent than ever. For many authors and publishers, the primary concern with DRM is preventing consumers who have purchased an e-book from sharing it online. After all, like the rest of us, authors prefer not to work for free. If avoiding unlicensed distribution of an e-book is an author’s primary motivation, a combination of security measures may discourage would-be pirates from taking the risk. Is DRM Worth It If I’m Starting an E-Book Store? Selling e-books to the general public may be fraught with risk, but it also has the potential for high profits. That said, the audience of an e-book store says more about the need for DRM than the type of content it sells. The first question to ask is: do you trust your audience? If an author decides to open an e-book store for his or her own material, the audience is likely a specific group of consumers. If an author has a small but committed readership, the risks of piracy may prove low. However, if an e-book store owner wants to sell other authors’ work or host a larger selling platform, the audience may grow larger and less predictable. Books from an in-demand author can become a security risk for even small e-book stores as people aim to obtain materials for free. In fact, using DRM solutions are often a requirement for working with larger publishers. That’s because DRM protects authors’ work no matter what digital shelf the e-books reside on. Stocking an e-book store with novels from indie authors is vastly different from selling high-value e-books like textbooks or popular series fiction. 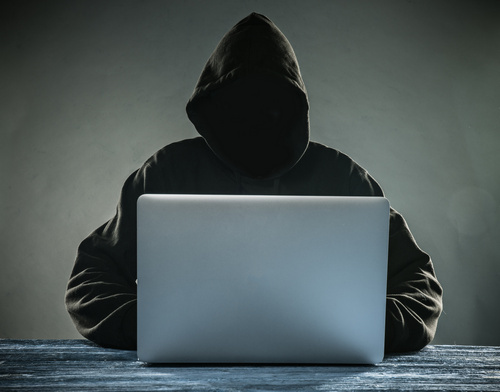 In general, the higher the value of the content, the higher the likelihood that hackers will attempt to steal it. Conversely, an e-book store that caters to a specific audience, for example, friends and family of the author, has much lower risk involved when it comes to content value and loss. DRM solutions encompass multiple tactics for ensuring content security. For example, one solution utilizes download links to deliver e-books to customers. Once the link expires, a customer cannot access an e-book without further permission from the author or publisher. Another option is a watermark that marks an e-book with a copyright. Alternatively, some systems, such as EditionGuard’s Social DRM, add the consumer’s personal information to the e-book to discourage unlicensed sharing. Encryption is a top-tier security method that larger e-book stores often turn to for protection. Restricting unauthorized access to digital content starts with proactive measures. To that end, we offer packages that address the needs of every publisher from independent authors to online e-book stores. A straightforward and familiar accessibility restriction tool is password protection. Password protection works for PDF and e-pub files, and no password means no entry. However, hackers have ways around password protection, and in fact, some apps and tools can remove passwords. Watermarking, also known as “social DRM,” imprints the content with either a visible or invisible watermark. Therefore, each file contains the buyer’s personal information. This allows authors to track down the person responsible if the pirated content makes its way onto the Web. The highest level of authorization restriction is secure encryption. Encryption allows authors to control what users can do with their e-books. Because encryption requires fast-paced adaptation as technology changes, encryption is also the most expensive DRM solution. EditionGuard puts industry standard Adobe DRM within reach of independent authors and publishers by offering it at as part of a monthly plan at an affordable rate. As The Guardian reported, the US Courts recognize code as protected expression. That means that authors can apply restrictions to their content and prosecute anyone who breaks their DRM. Depending on your audience, the most effective defense against content piracy may be the social aspect. Social DRM discourages theft and also allows authors to publicly shame those who pirate their work. All DRM measures can give authors a legal advantage when it comes to prosecuting hackers. That means DRM gives peace of mind and legal recourse to authors that opt for either social or encryption protection. Publishing high-volume content is one of the most effective ways to build your authority and reputation. 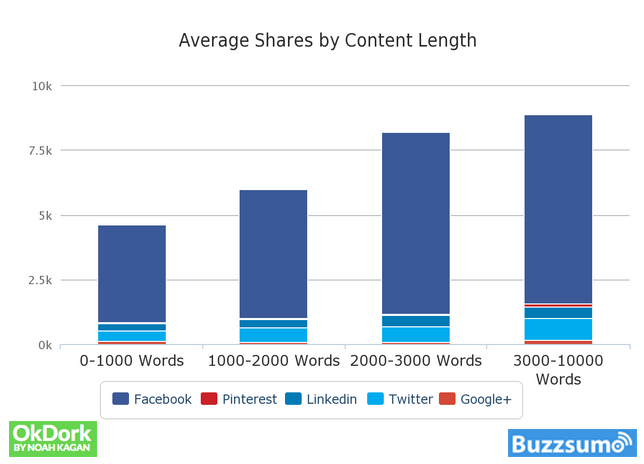 This graph from a joint study between OkDork and Buzzsumo reveals that higher volume content gains the most shares on social media. It shows readers are more engaged with lengthy, thoughtful articles that delve deeply into a given subject. What it does not mean is that you can waffle your way to 10,000 words and hope for the best. It means lengthy content tends to be more authoritative and demonstrates a deeper level of expertise. Make it easy for you to write: Any publishing software should do the basics right. If you have any kind of difficulty writing your content, then it’s not for you. Ability to add graphics: No-one wants to read a wall of text. You need to be able to easily add images or graphics to make your content more engaging. Integrate with other programs: When it comes to the moment of publishing, you should expect a seamless process. If you’re already familiar with WordPress, then you shouldn’t have any problems working out how to use Pressbooks. 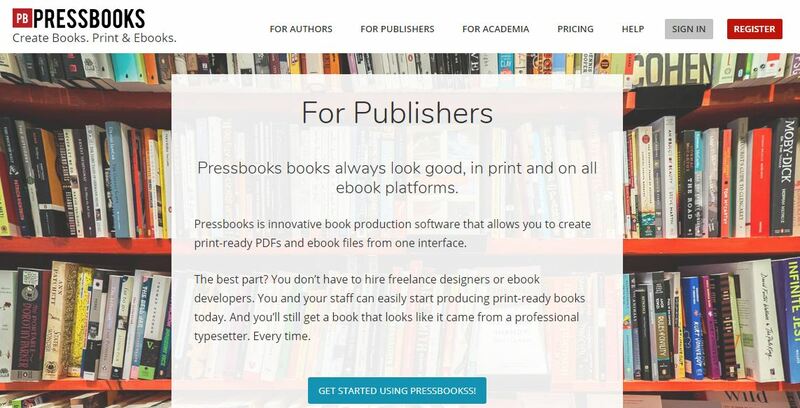 Though it has a very similar layout to the world’s biggest blogging platform, Pressbooks is a different site. It has all the features you need including the ability to add chapters, edit sections, and insert images. Familiar layout: Many of us will have some experience with WordPress, so the familiar layout will enable you to dive straight in. Features: This is a site designed with e-book creators in mind, so it will have all the features you need. Even if you’re creating a report rather than an e-book. Price: You can access this tool for free. More advanced packages start from a one-off payment of $19.99. Formatting: Despite being a different organization, Pressbooks still has the same formatting issues as WordPress. Though individually relatively minor, put together it can make creating an e-book a frustrating experience. The appeal of Lucidpress is the wide range of formats it supports. You will be able to create high-volume content that’s viewable in any kind of device, whether it’s supported by Windows or Apple. Following a different design to Pressbooks, the platform is easy enough to understand and work with. Lucidpress is routinely rated as one of the top five for publishing long-form content. One tip to utilize Lucidpress is to avoid using its very limited free package. Paid plans start at just $5.95 a month, and you will be able to fully understand what the platform offers. Suitable for all e-book formats: While most publishing software can cater to many e-book formats, few can cover all of them. Lucidpress can. Affordable price plans: The pricing structure is reasonable and good value considering all the features you can enjoy. Multiple formats for writing: This gives you complete freedom over design and content creation. Sell direct from the platform: If you’re looking to sell your high-volume content, you can do directly from Lucidpress. Inability to download to your computer: You will not be able to download your document from the platform. This means you will always need an internet connection to access your work. Limited support: There isn’t much in the way of support or helpful contacts in case things go wrong. 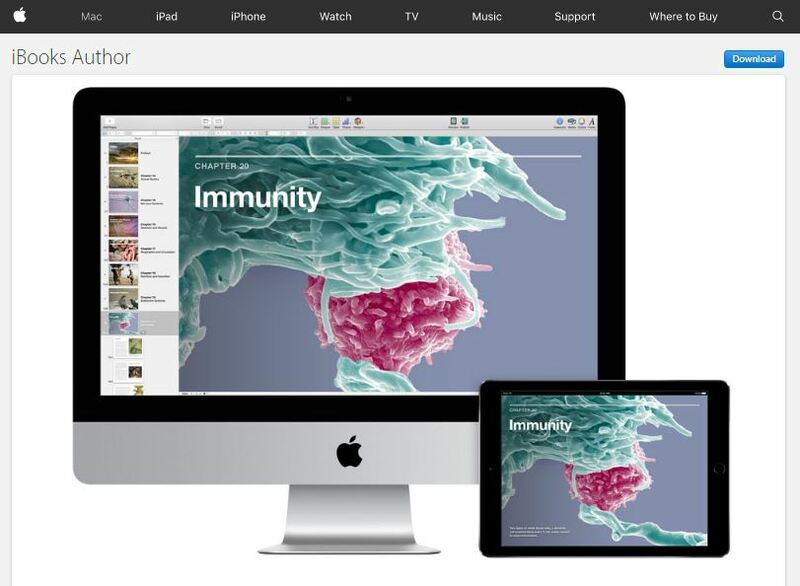 Apple’s iBooks Author is just what you expect from the technology giant. Clean, crisp, and easy to use. Designed for both personal and professional users, this software encompasses multiple formats. You can create e-books, photo albums, or digital magazines. Whatever the purpose, you can customize existing templates to create documents that fit your requirements or brand. This is free for Apple users. Easily navigable: Apple’s brand is founded on smart design. So it’s no surprise to find the user interface here is seamless and easy to use. High level of customization: You have the freedom to create the documents you want, in your style. The customization features are up there with the best platforms. Unique features: There are features on here that cannot be found on any comparative software. Again, these small touches can make all the difference to the finished e-book or article. Exclusively for MacBook users: If you haven’t converted to the Apple brand then you will not be able to use this software. Can run slowly at times: We didn’t experience this ourselves, but this program has been reported to run slowly at times. If you’re looking for a complete publishing platform, then this is it. Atavist was founded in 2009 and has been adding features ever since. 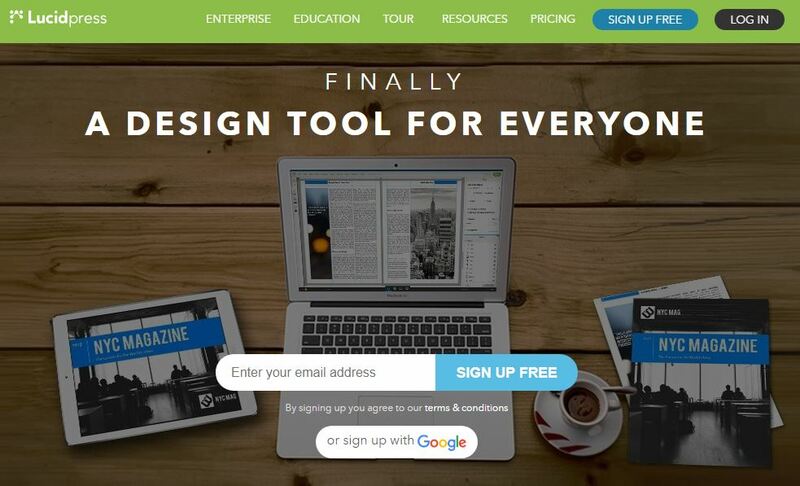 As a result, it’s widely regarded as one of the best publishing platforms out there. Atavist gives you the ability to format and structure your e-book in a number of different ways. The software’s inherent flexibility means you can really make the document your own and implement your branding. It also integrates with a number of other tools which boosts its functionality even further. Wide range of functions: This is essentially a one-stop shop for creating high-volume content. By integrating with other tools and platforms, the user will enjoy a huge array of functions to choose from. Create your own website: One of the features that sets Atavist apart from its competitors is the ability to set up your own website. This will give you greater control over the promotion and distribution of your content. Use any media: The ability to add any type media to your content enables you to make your work more engaging. Articles with images and videos have been proven to be more appealing to readers than text alone. Overwhelming: It’s hard to find faults with Atavist. The huge array of features can make it a little overwhelming for users and it can take time to make the most of the platform. Scrivener is the tool for more serious writers. The well-organized interface means the user can jump straight to the features they need. While it is geared towards MacBooks, Scrivener is making efforts to be compatible with Windows. The software is moving towards the creative trend for e-books, with features that enable you to add videos and images. Additionally, you can translate your work into several languages, including Spanish and French. Not just for e-books: This isn’t exclusively designed for novel writers. If you’re looking to create a training or professional document, Scrivener can help you with this. 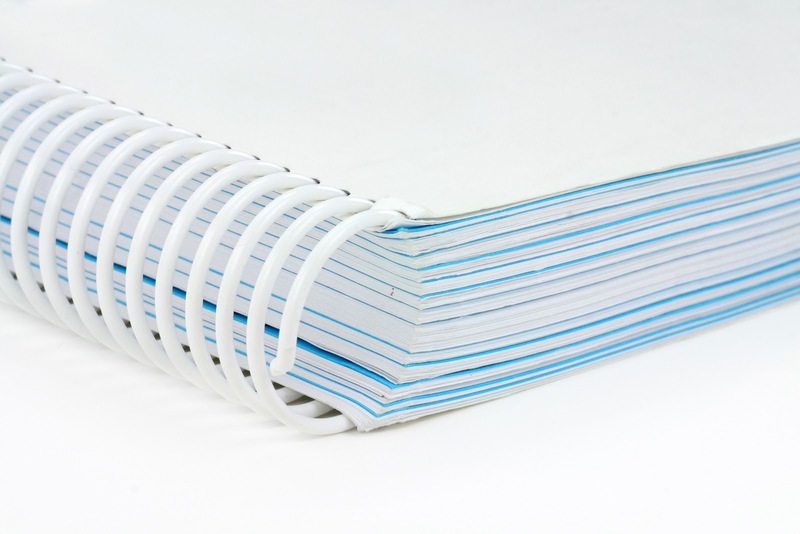 The “Ring-Binder” feature is one such example. Apple standard support: As an official Apple app, support is never far away. Multitude of formats: Scrivener supports all the major formats e-book writers use, including HTML, PDF, and MOBI. Geared towards Apple: Though steps are being taken to widen Scrivener’s capabilities with Windows, this is still focused on MacBook users. Competition with iBook Author: At $19.99, you would have to consider whether the added features are worth purchasing, compared to the free iBook Author. These are just some of the high-volume content software options that have emerged over the last decade. There’s no doubt that these options are among the best. When picking the right one for you, ensure you take the time to play around with the free trial offers. This will give you a taste of what each platform brings to the table. One might be better at creating great photo albums but not so good for your novel, for example. The overall aim is to find the software that’s easy to use and makes your final product look as good as it can. The two usually go hand-in-hand because then you can just focus on what you do best. Creating high-quality, engaging content. Unfortunately, you can never take the security of your business for granted. No matter how big or small it is. There’s always a risk of one of your competitors getting hold of important information or a large-scale cyber-attack. The thought of these events occurring not something any of us like to think about. Yet, it’s just good business sense to do whatever it takes to protect your company. One of the most important areas is enterprise documents. This is a term that covers sensitive information that, if mishandled, can have a damaging effect on your business. There are several samples of documents that needs be accessible internally but also must be restricted to selected individuals. And any kind of information that is sensitive to your business and that you do not want your competitors to see. You may assume that normal computer security systems addressed this issue long ago. Yet, there are still significant gaps in document protection. Controls normally provided with operating systems are based on ‘access’, which focus on who is able to access documents. To take your security to the next level, you need to control what people can do with and to them. For example, with standard computer security, you can permit who can read a document, but that may not stop a user from printing or screen grabbing it. There are some more extreme controls you can put in place to prevent unauthorized distribution, such as forbidding access to the printer. However, this would stop the individual from printing anything, which is a little over the top. 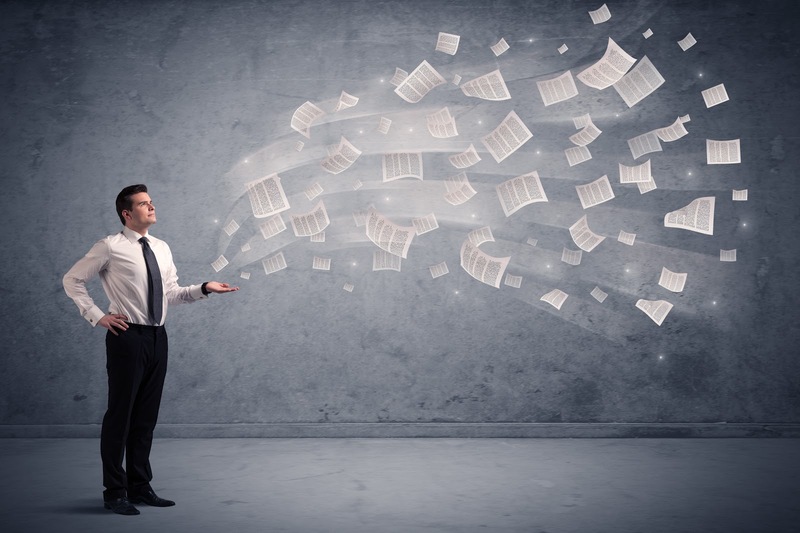 The principal challenge to enterprise document protection is the internet. As the world becomes increasingly reliant on the web to communicate and work, businesses need to strike the balance between convenience and security. As data leaks continue to emerge, the issue of protecting sensitive documents have become paramount. This includes email, instant messaging, and any other form of digital communications – which theoretically can distribute documents around the globe in an instant. Restricting document access and allowing only certain users to view documents can give you a measure of control. However, this is only one part of the challenge businesses face. There’s also the danger of people simply copying or taking a screen grab of such documents and distributing it beyond your control. Yet, a blanket ban on internet use would have a severely negative impact on the running of your business. It would prevent employees from communicating with one another and a whole host of missed opportunities. 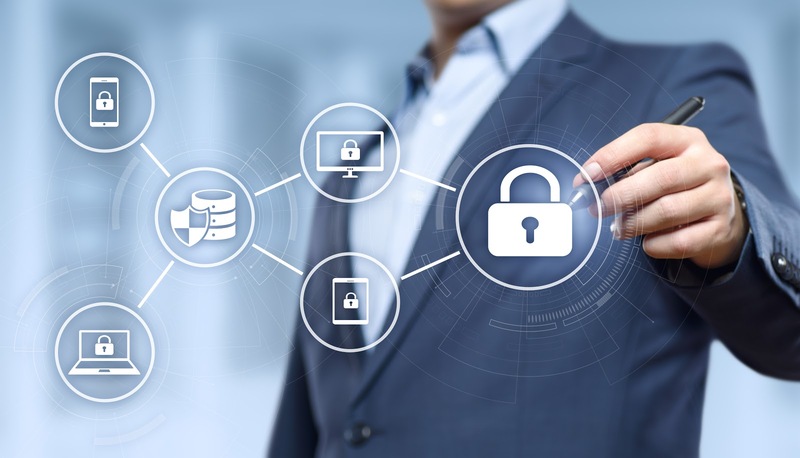 As a result a number of enterprise document security products and services have been developed to focus on these problems. Companies have developed programs that prevent the use of USB or ‘flash’ drives even if installed on the hardware. Email service providers (ESPs) use scanning techniques to try and detect documents that should not go out, unless encrypted for a specific recipient. The drawback to this solution is that a valid document in a format the scanner fails to recognize could be blocked. As a result, email scanning programs should be used with care. Forbidding the use of personal devices is another option. However, this can be an expensive undertaking and staff tend to use phones or tablets for convenience. Digital Rights Management (DRM) refers to the ever-evolving technologies and tools that are used to control access to any digital media file. You can use DRM mechanisms to limit the use, duplication, modification, and/or distribution of enterprise documents. This could be referred to eDRM or Information Rights Management (IRM). DRM isn’t restricted to the functionality that prevents access, duplication, and distribution, but also technologies that are effective at deterring these behaviors, either by creating a platform for legal recourse, or by providing an incentive for an alternative, legal consumption of the document. The owners of such documents have several options, many of which can be used in combination with one another, when it comes to implementing DRM. In some cases, these DRM options are media-specific, meaning that a particular DRM mechanism that can apply to a document cannot be used for an audio file and vice-versa. As you can see DRM does much more than standard security programs you find in your computers. With EditionGuard, you can integrate these tools with your existing systems. In order to fully utilize the security DRM can offer, you need to consider the requirements for your business. Each team operate in their own way, and the management of your sensitive documents should reflect this. For example, the automation of secure distribution to selected individuals may be more suitable for one company than the other. The point here is to integrate DRM in a way that works for your business. You may have less, or more, requirements than those above. The key is to consider what works best for your team and act accordingly, while never compromising the security of your documents. Loss of sensitive data: This covers information that could be beneficial to your competitors. It would mean you would lose your advantage and allow your rivals to get ahead. Inevitably, this would have a negative effect on your profits and business. It could also include confidential details on investment, which if leaked, would lead to a loss of potential growth. Loss of client details: The public are increasingly aware of the dangers posed by data leaks, particularly if it’s their own personal details. They are also aware of their rights, and since the protection of such data is your responsibility, you will be leaving your business open to court action. We don’t need to tell you the potential ramifications of this. So, a properly managed and maintained DRM for enterprise documents is pivotal to the health of your business. With EditionGuard, we can provide this invaluable support and ensure your company’s most sensitive documents are fully protected. The internet is a blessing and a curse for people who make a living from creating and publishing creative works. On the one hand, it has lowered the barrier to entry for artists, giving them unprecedented access to a massive market of potential customers. It has also given them environments and tools they can use to promote themselves and their work without the involvement of third parties who siphon revenue and dictate timelines. It has also opened the door for smaller, independent publishers who could, in the legacy publishing landscape, not compete with those who held a monopoly on the industry. On the other hand, it has created an ecosystem where people who want to benefit illegally from the duplication and distribution of these works can thrive. Individuals with the time and inclination to leverage new technology to benefit from the theft and “resale” of another person’s work have never been in a better position than they are now. The relative anonymity offered by the internet along with difficulties in applying uniform regulations that cross geographic borders means that there is a stark lack of accountability for content pirates. The lack of consistent and effective legal recourse means that there aren’t many deterrents for content pirates and this raises the question: How do authors and publishers of e-books protect their most valuable assets and income? The answer is Digital Rights Management (DRM). DRM refers to the ever-evolving technologies and tools that are used to control access to any digital media file. DRM mechanisms attempt to limit the use, duplication, modification, and/or distribution of copyrighted works. DRM also doesn’t necessarily refer only to functionality that prevents access, duplication, and distribution, but also technologies that are effective at deterring these behaviors, either by creating a platform for legal recourse, or by providing an incentive for an alternative, legal consumption of the work. The owners of digital files have several options, many of which can be used in combination with one another, when it comes to implementing DRM on their work. In some cases, these DRM options are media-specific, meaning that a particular DRM mechanism that can apply to an e-book cannot be used for an audio file and vice-versa. In this post, we will be taking a detailed look at the various DRM options that the custodians of e-books have at their disposal. The following DRM techniques act as pre-emptive deterrents for content piracy. Their goal is not to actively prevent the act of accessing, duplicating and distributing these files, but to provide strong incentive not to do so. As soon as the author is finished writing their e-book, they automatically have copyright on the material, meaning that any duplication of the material is prevented by law. However, for authors who reside in the US, there is added benefits to registering the copyright. Doing so is an additional deterrent because the author will be able to sue the perpetrator not only for loss of earnings but also statutory damages and the recovery of legal fees. This is a relatively new method of creating accountability when it comes to the ownership of an electronic media file. A mechanism championed by JK Rowling, who implemented this particular form of DRM on e-books purchased on Pottermore.com, it “brands” the file with the name, contact details, or any other data that the publishers deems necessary. That creates a scenario where the owner of an e-book can be identified as the source of a file’s illegal duplication and distribution. This level of transparency is proving to be a compelling way to motivate the owners of digital media not to share their files. EditionGuard offers social DRM as an option to our subscribers. Implementing this mechanism on the books in your inventory is an extremely simple process and customers can opt in for this DRM mechanism without our more extensive DRM options. See below for an example of a social DRM watermark that is deployed onto an e-book. This DRM method refers specifically to technology that acts as a border between the prospective content pirate and the file that they seek to duplicate. In the time before electronic devices were permanently connected to the internet, a customer’s ownership of an e-book was determined by the file residing on their tablet or e-reader. However, in the modern media landscape where devices are practically always online, it is possible to host the file in the cloud and allocate ownership by using a simple permission in the user’s profile on the hosting service. This means that the only way that an e-book can be accessed is by having the owner’s login details which allows them onto the online platform where they open an read the book. This method also means that the physical file doesn’t exist on a device, making it impossible to access and duplicate. While some users may balk at the notion of not having physical access to the file that they paid for, consumers’ understanding of digital media consumption is shifting in the direction of cloud-hosted ownership. This is thanks, in part, to popular streaming services like Netflix and Spotify which operate on a similar principle. At EditionGuard, we offer this DRM option to our customers via our partnership with Adobe Digital Editions – a secure e-book hosting and reading environment. These DRM methods refer functionality embedded into the e-book that prevents the duplication of its content. Copying and pasting content is a rudimentary piracy method in which users circumvent any DRM functionality embedded in the file by “scraping” the text from the source document and pasting it into a destination file which is entirely free of any mechanisms that prevent duplication and distribution. This destination file can then be “repackaged” and passed on as an original. By using functionality offered by DRM partners Adobe DRM, EditionGuard customers have the option to disable the ability for users to copy the content of an e-book that they have access to on their device. One of the most effective ways to prevent an e-book from being copied is to implement an expiration date on the file. Many DRM solutions, including EditionGuard, enable authors and publishers to capture a length of time (or specific date) after which access to the file is revoked and the e-book is effectively “returned” as if it was borrowed from a virtual library. In addition to the DRM benefits, this feature also enables publishers to create a different price-point for their products, offering customers permanent access to a file for one price, or temporary access for another price. Having these two options may appeal to a certain segment of your target market. Despite the ongoing investment in creating increasingly sophisticated techniques that prevent the piracy of e-books, there are always going to be individuals who find a way around these safeguards. Even the most effective deterrents, access, duplication, and distribution controls, are susceptible to innovative content pirates. That’s why it is important to also implement re-active steps in finding sites where your e-books are illegally distributed. 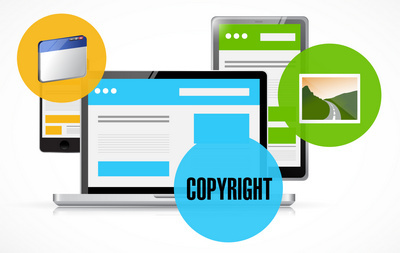 Make use of search engines to find sites that host duplicates of your files and contact the site host to inform them that one of their clients are infringing on copyright laws. Owners of digital products have been battling against the unauthorized use of their products for decades and it seems unlikely that this war will ever come to an end. Aside from the above steps it is important to partner with a DRM service that has your back. If you are an author or publisher looking to safeguard your digital assets, get in touch with us to start a 30-day free trial of our services. Our services are easy to integrate with your website, with most popular e-commerce environments supported by our turnkey solution. EditionGuard offers industry-leading DRM solutions at an affordable, fixed monthly installment. 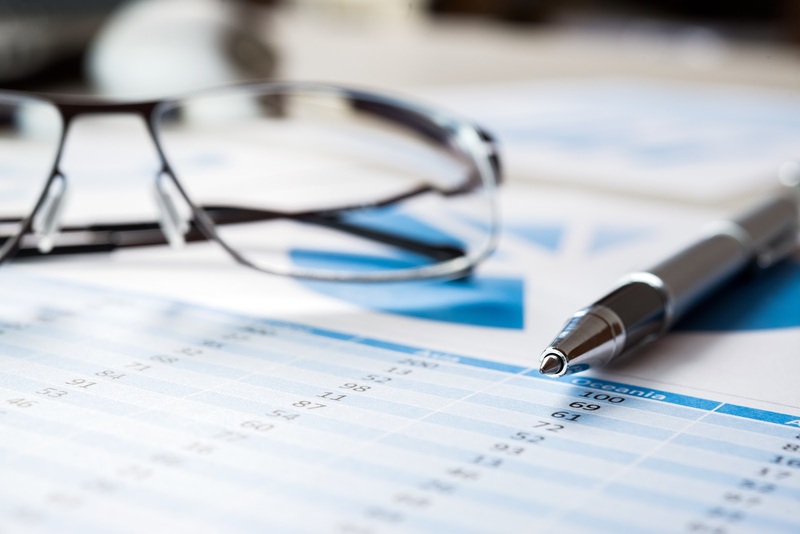 Contact us today to find out how we can help you protect your revenue. The piracy of digital content like music, movies, and books is a well-known source of concern for artists and publishers alike. A file can be copied and redistributed with virtually no recourse for those affected by the theft. And one of the biggest concerns in this space is the fact that technology enabling the theft of digital files is constantly evolving to circumvent the technology that protects ownership. That’s why it is extremely important for anyone involved in the digital publishing supply chain to remain aware of the most effective methods of protecting their most valuable assets. In today’s post, we are going to take an in-depth look at the various mechanisms that limit the threat piracy poses to publishers and artists alike. While this is not a technical mechanism and offers no functionality that physically prevents access or duplication of content, it’s presence is often enough to deter the more casual pirate. It also forms the foundation for any legal recourse the owner of the content may be able to seek should the perpetrator be caught. Copyrighting a book is extremely simple, with the majority of the protection it offers the creator being in place automatically from the day that it is finished. However, to enjoy the full spectrum of protection that implementing a copyright can offer a publisher based in the United States, it becomes necessary to register your copyright. It’s an additional deterrent for a pirate who may already be concerned with the legality of their actions. You are able to sue the perpetrator for copyright infringement. Under certain conditions, you are entitled to statutory damages in addition to the recovery of lost income and legal fees. When you store your digital assets on a web server, it is vulnerable to web crawlers that scour the internet looking for files with specific extensions such as .epub, .mp4, and .pdf. When a crawler finds these files, they will be accessible via search engine or, in some cases, scraped from your server by pirates looking for any valuable file to include in their inventory of stolen content. Placing your file inside an encrypted, password protected zip archive. Preventing a page from being crawled by search engines. For artists and publishers in the visual arts space, an option to prevent the appropriation of your content is to regularly perform a “reverse image search” with online tools like Tineye or even Google’s image search. By regularly uploading one of your files into the tool’s search interface, you are able to find all the websites that have published the image online. While this may be a somewhat reactive approach and doesn’t offer functionality that prevents imagery from being used, it does offer some form of recourse and if copyright exists on the image, legal recourse is always a possibility. For publishers of written content, Copyscape offers a similar feature. This method is most appropriate for artists and publishers in the audio industry. A recent study published by Business Insider indicated that that piracy in Norway decreased from 80% to 4% in the space of five years due to content being available on more affordable subscription services like Bandcamp, Spotify and Google Music. Giving your audience the option to access your content by using a subscription service, you are contributing to eliminating one off the main reasons for piracy: the prohibitive cost of media. Another reason for the success of this approach is that users can’t access the source file of content that is streamed, making illegal duplication of the file impossible. If this is your sole method of “selling” content, there will never be a reason for a customer to have access to the physical file on their computer or device. Security is a major concern for majority of streaming services and most of them can afford to invest in the latest and greatest technology to keep their archive of digital content safe from hackers. This is the e-book equivalent of the above solution for audio content. When your book is not downloaded to the buyer’s laptop or mobile device, there is no way for them to access the source file to make a duplicate to distribute. The alternative is to have the customer read the e-book while they are logged into a secure platform where the book can be accessed and read. This is dependent on the user needing to be online while reading their book, but this is no longer the concern it was a couple of years ago. Some of the most popular media platforms, like Netflix, require customers to be online while consuming their content and most internet-savvy users have become quite comfortable with this concept. This approach to privacy prevention is one of the primary functional benefits EditionGuard offers publishers — a secure and always-available online environment where their customers can access the books they bought from them. An emerging method of preventing piracy is to embed the social media profile of the person who “owns” the product as a watermark into the content. When the content, usually an e-book, finds its way onto torrent sites, the source of the illegal distribution can be identified. This level of transparency is an extremely effective way of incentivizing the owners of digital media not to duplicate and distribute the content that they paid for, since their personal contact details will be visible to everyone who downloaded the file (or invisibly detectable by authorities). This is a protection mechanism that EditionGuard offers publishers who subscribe to our services. Read more about EditionGuard’s Social DRM offering by clicking here. Sometimes simply having the file’s content visible on a laptop or mobile device is enough to duplicate it, even if the source file is inaccessible. One way that content thieves achieve this is by simply selecting all of the text in a PDF or epub document, copying it, and pasting it into a new blank document which can be renamed and repackaged into a facsimile of the original work. Fortunately, EditionGuard offers a solution to this piracy technique. When uploading a book into your online inventory using our interface, you have the option of preventing this standard function when the user has the file open on their device. EditionGuard’s rights management system offers publishers the option to have books “expire” after a predefined period of time. This turns the publisher’s inventory of books into a virtual library, which will appeal to certain users and also significantly limit the risk of illegal duplication and distribution. Essentially, after a certain period of time has expired, the user’s copy the their e-book is “returned” and they no longer have access to it. This setting can be applied wither by capturing a specific future date, or a number of days that must elapse, before the expiration is triggered. Piracy is an enormous industry that robs content creators of billions of Dollars every year, and the people creating the tech that enables theft are highly motivated to keep eliminating the safeguards publishers put in place to protect their income. When choosing methods for protecting yourself from piracy, it is essential that you partner with a DRM solutions provider doing all they can to stay ahead of the competition. EditionGuard offers independent publishers the option to partner with the very best: Adobe DRM. All the benefits offered by the industry leaders in the digital rights space can be yours for a fraction of the cost if you sign up as an EditionGuard customer. Our software is extremely easy to integrate into your online bookstore and our prices are very affordable. Click here for a free trial of our remarkable solutions.